Pittsburgh, PA – Kaarta today made another leap forward in the advance of rapid 3D reality capture with the launch of Kaarta Reality Layer, augmenting its already geometrically accurate and robust spatial capture with the richness of color information running the gamut from point cloud to surface mesh to RGB point cloud to rich photorealistic model. These integrated colorization capabilities make it possible to quickly capture and process just the level of color detail needed for a wide range of built environment applications from planning and design to construction to ongoing operation and maintenance. Further, the ability to automatically generate photorealistic 3D models promises to make a host of new mixed reality applications possible. At its most immersive and photorealistic level of detail, Reality Layer automatically connects the dots on a dimensionally-accurate, high-fidelity point cloud to create faithful surface models for the seamless overlay of high resolution color imagery – all rapidly captured and processed with one mobile handheld device. Reality Layer reveals features such as surface textures and colors, locations of electrical, plumbing, HVAC and other features, or even details as fine as the text on signage or labeling. 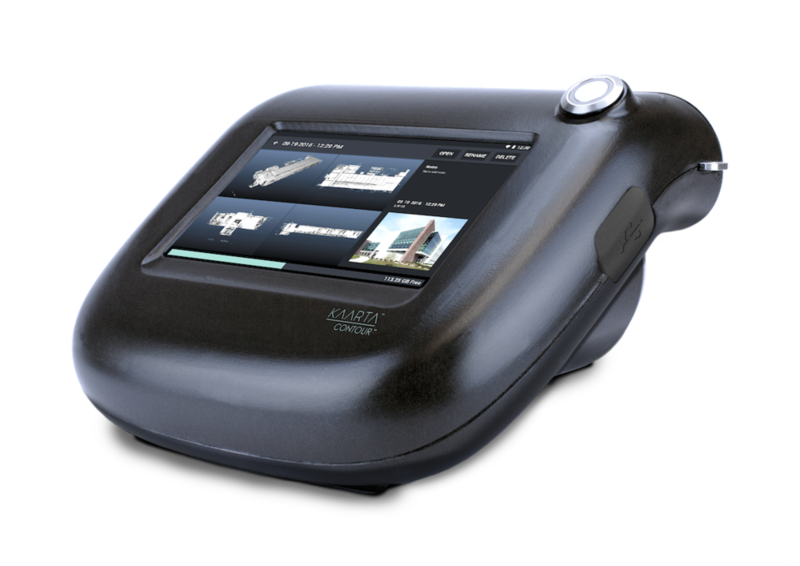 The user carries Contour through a space to scan and generate a 3D map on the go. Contour is also used as a camera to automatically capture color images with accurate location information relative to the model of the environment. When the scanning is complete, just the push of a button on Contour creates the Reality Layer through a sequence of fast and automated processing steps, resulting in a highly accurate 3D model with integrated imagery in minutes. This latest advancement has far-reaching benefits for professionals who require accurate and faithful 3D information. It eliminates call-backs to the site, as all of the necessary information resides in the point cloud, imagery, and resultant 3D model. It reduces the high upfront costs related to digitally capturing spaces, meaning it can be done on more sites, more frequently, and by more users. It enables the further adoption of Building Information Modeling (BIM) practices for built assets by providing access to well-structured digital information to all the necessary parties. Reality Layer is now shipping on the Kaarta Contour™ mapping system, and a free software upgrade is available for existing Contour owners. Integration into Kaarta’s additional devices to follow.